We have been working with our commercial customers for over seven years. 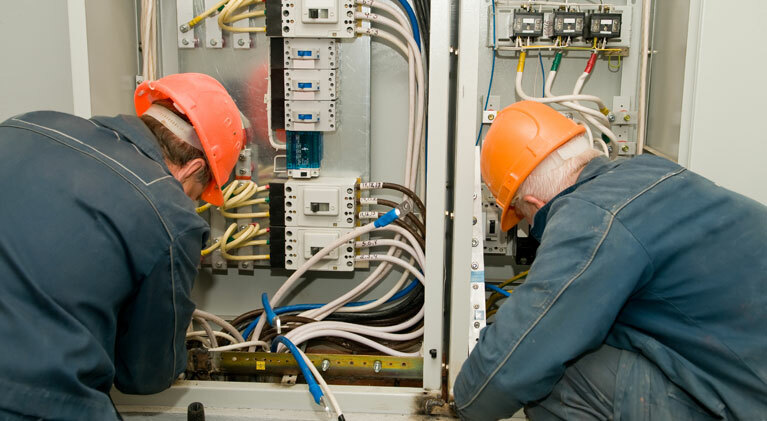 We offer electrical services to businesses as well as offices, buildings and managed properties. We offer both initial installation as well as renovation services to our commercial customers. Because we know time is money and our commercial customers cannot afford to lose time, we can work on short notice and overtime to complete projects when our customers need them done. We have experienced staff members who can complete estimates and bids quickly so that our customers can get projects approved and started promptly. Our licensed, experienced technicians are ready to complete any project on budget and within the deadline. All our work is guaranteed and licensed and you can rest assured that projects will be completed on time, up to code, and with the utmost quality. Please contact Colony Electrical for all your needs or concerns regarding any type of Commercial Electrical service. "I own a construction company; managing new builds, renovations & commercial projects. I met Andi on a project five years ago and have worked exclusively with him since. He is very thorough, professional, dedicated and reliable. I will continue to work with Andi and I highly recommend him to anyone in search of a quality electrician and an overall good dude." Colony Electrical Inc. services Oakville, Hamilton, Dundas, Ancaster, Burlington and Mississauga. © Colony Electrical Inc. 2019. All Rights Reserved.